(National Sentinel) Winning: Begrudgingly, even the anti-POTUS “mainstream” media is now having to report all of the good things, economically speaking, that are coming from deregulation policies and tax reform implemented by President Donald Trump and the GOP Congress. What’s more, they are having to report that their policies and reforms are having a real impact on real people, especially those Americans who have been hard-hit by the globalist policies of the past three decades. 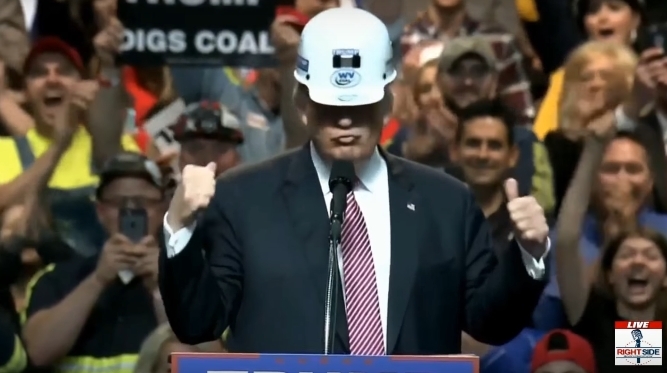 “Blue-collar jobs are growing at their fastest rate in more than 30 years, helping fuel a hiring boom in many small towns and rural areas that are strong supporters of President Trump ahead of November’s mid-term elections,” reported the Washington Post, under the headline “Under Trump, the jobs boom has finally reached blue-collar workers. Will it last?” [no doubt hoping it won’t]. The New York Times is also on the job growth bandwagon (for now). The paper noted that Republicans’ and the president’s pro-growth agenda is reaching people far beyond the blue Democrat-controlled urban areas along both coasts. The headlines for the August job numbers released this morning are nothing but good. Employers added a robust 201,000 jobs, the unemployment rate remained at the rock-bottom level of 3.9 percent, and wages grew the fastest they have in nine years. But the fact that higher pay raises are finally showing up in the data is another piece of evidence that employers are coming up against the limits of the labor force. Just maybe, after years of trying every recruitment technique other than raising hourly pay, employers are starting to turn more to that option. The bottom line is that under POTUS Trump and the GOP Congress, opportunities are being spread throughout the country and are no longer favoring the coastal cities. Blue-collar workers are finally being given new opportunities as well as the technology sector. Previous :You now have a platform for questioning the establishment: Are you posting to Brighteon.com yet?